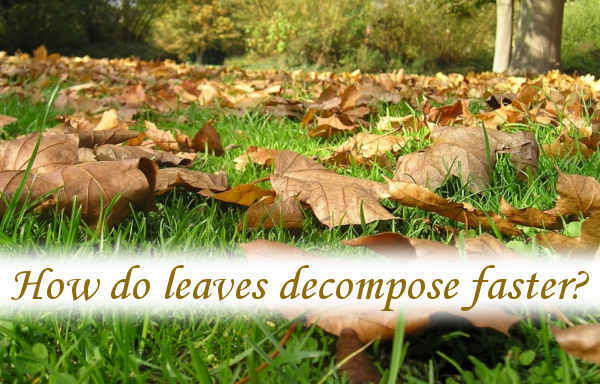 How do leaves decompose faster? 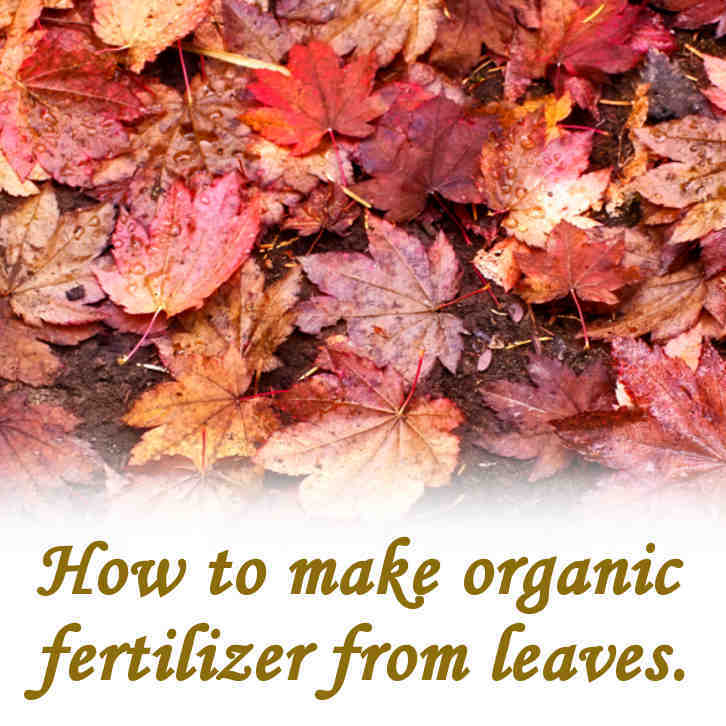 There are easy ways to make leaves decompose faster. Every Autumn/fall we get, whether we want them or not, a sizable delivery of leaves. To some they are a nuisance but to the rest of us they are a bonanza, maybe eagerly awaited. But when we get them we want to convert them into useful compost as quickly as possible. 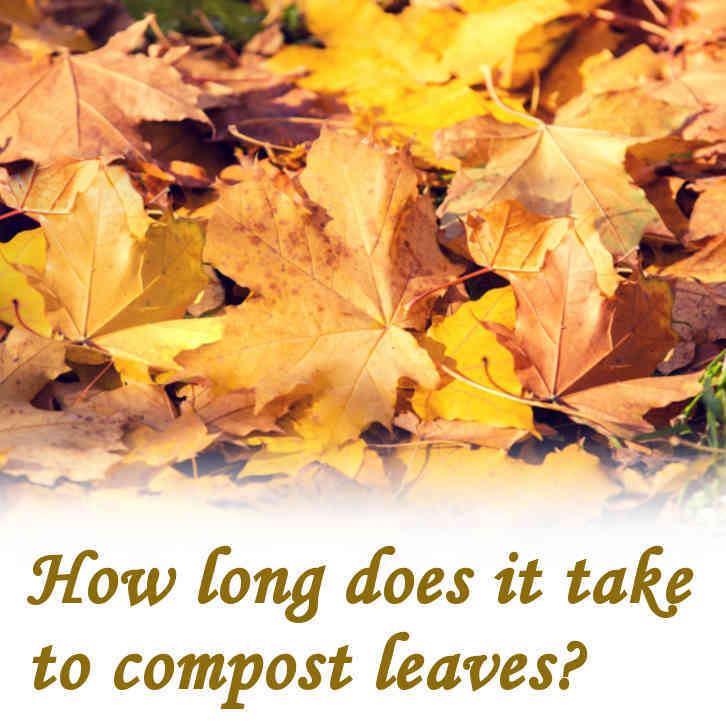 Composting takes time, so, how do leaves decompose faster? It’s easy, dry leaves will never rot if they stay dry but damp leaves will rot. Make them wet and they will turn into compost. Keep turning the heap to get more air into the mix because this will help it to decompose quicker. Is a static bin best for making compost from leaves or a tumbler? Can leaves be stored before making compost? Do leaves need to be shredded for making compost? What’s the best way to gather leaves? Making compost from anything will take time, so, ‘fast’ is always going to be difficult to achieve. However there are things that you can do to move things along but it does require extra input from you. After you have gathered your leaves together, you are ready to start the process. 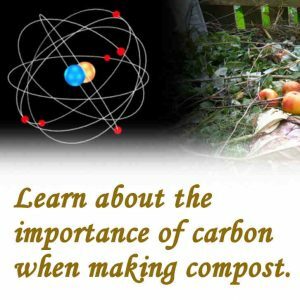 There are two things that any organic material need to turn into compost. The first is water, if something is wet, it has a chance to start decomposing. You don’t need to keep adding water. The moisture that’s added at the beginning should be enough for the whole process. Compost will hold onto moisture, any excess will drain away but you don’t need to keep watering it like a pot plant. The second thing is air. 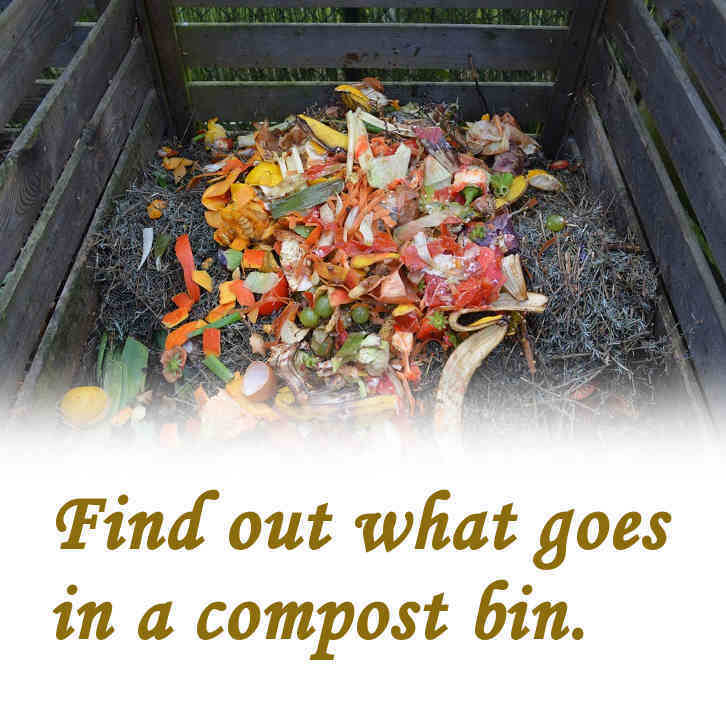 This requires effort from you and it will make all the difference if you are trying to make compost quickly. The microorganisms that live in the heap that you’ve created will thrive and multiply very efficiently if they have adequate moisture and plenty of air. Some heat may be generated which will drive off some water but it won’t be enough to dry out the heap. 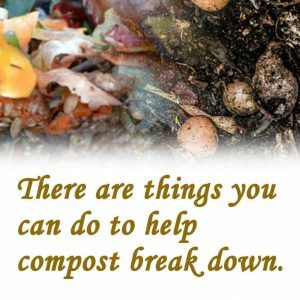 You can either regularly dig over the heap with a fork or load it into a compost tumbler and roll it over every couple of days. Keeping it moving will give you best chance of a faster rot-down but you will need to be patient if you want a really good quality, crumbly, black compost. What’s the best ingredient to mix with leaves to make compost? Dead leaves can be categorised as ‘browns’. They are mainly carbon and there will be little or no nitrates to achieve the ideal balance that will produce the ultimate compost. Leaves will rot down into something that’s useable without mixing anything with it. But there are other ingredients that you can add to improve what you have. I would add grass clippings. You may have grass available in the Autumn/fall time. Grass that you cut at this time of year tends to have a higher moisture level than during the Summer months. Moist grass will work well with dry, dead leaves. Add one to the other until you have what looks like an even mix. Leave it for a couple of months to settle. During this time it will, most likely, heat up and cool down. There may be a fungal period where mould will develop, which is best left undisturbed. When the heap has settled, you could dig it over and introduce air to speed up the process or just leave it to reach it’s inevitable conclusion over time. The grass will contain some nitrates that will balance the excess of carbon that the leaves contain. A comprehensive mix of both grass clippings and dead leaves will make for an open-structured heap allowing some air to have access without mixing in the early stages. If you don’t have any fresh cut grass to conveniently add to a recently gathered heap of dead leaves, then you could mix in some grass-clipping compost that has already started to rot down. There is nothing wrong with adding old to new. There may not be enough moisture doing it this way, so you may have to add water to make the dry leaves moist enough. There will be available nitrates in the half-rotten grass to work with the abundance of carbon that the leaves will provide. It will all carry on rotting to form a very passable compost. The only other ingredient that you could add to help with the process is hydrated lime or ground limestone. This will neutralise any acids that may form which will try to preserve rather than allow it to rot down. It is possible to make compost without lime. Mild acidity usually just slows the process, it won’t stop it completely. If you add hydrated lime or ground limestone you can be confident that the process won’t be hindered at all. As a rough guide for application of lime, build your heap or fill your bin in layers of 6-8 inches deep. Then sprinkle enough lime to make the surface look white then add the next layer. This is a good way of building any compost heap whether you’re making compost from a large quantity of leaves with grass clippings or building a heap over a long period. 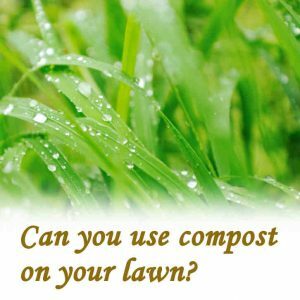 This will depend on how much time you have to spend on the composting project. 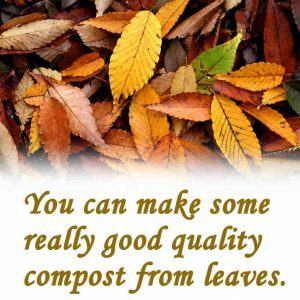 If you have a significant heap of leaves that you want to turn into compost, all in one go, as a batch, the best way is to put them in a composting heap or a dedicated static bin. You may need a number of bins if you have a lot of leaves. Doing it this way you have a choice. You can either leave the bin contents to rot down in its own time or you can intervene and dig it out and load it into another bin. 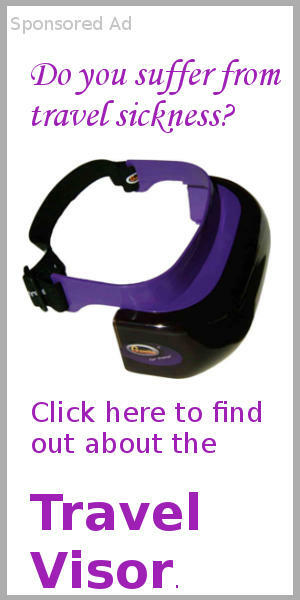 This will get air into it and accelerate the process. 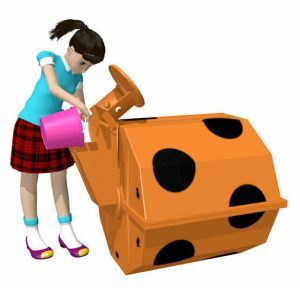 A compost tumbler requires more attention but using a tumbler will speed the over all process. A compost tumbler is best use as a batch system. Each batch has to be rolled around in the tumbler until the contents have rotten down enough to be considered, made compost. 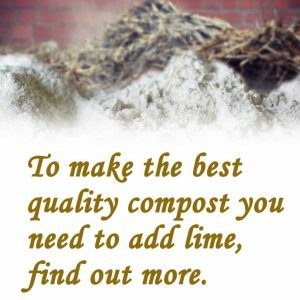 When a batch is finished it can be taken out and placed in a static bin to quietly take its time to finish into a good quality compost. Leaves can be stored dry. When a batch in a compost tumbler is ‘done’ and can be unloaded, a new batch can be started. Loading in dry leaves, which are usually clean to handle, is an easy thing to do. Add to this some grass clippings or kitchen waste to provide a balance of ‘greens’ and ‘browns’. Another option is to store some leaves in a dry place, as for a basic compost tumbler, and feed them, a hand-full at a time, when feeding kitchen waste to a Rolypig composter. There is no batching with the Rolypig, you never need to empty it. This is an in-one-end, out-the-other system. The freshest waste is at the mouth end and the oldest and most rotten material is at the rear end, where you might expect it. The dry leaves will absorb, and use, any moisture that comes with the kitchen waste. The leaves will balance the excess of available nitrates in the kitchen waste. Leaves can be stored very easily but it will always be better if the leaves are dry. If you can gather leaves in dry weather conditions, it will be much more convenient and the leaves will be easier to handle. They can be stored in bags. It’s possible to load plenty in a bag if you press them in. They will be quite light to handle, it will almost be like handling feathers. Store the bags of leaves somewhere dry. You don’t need to add anything to them to help them store. Such a stock of leaves will be ideal to mix with kitchen waste when you visit the compost bin or tumbler. If you don’t have any paper or cardboard then leaves will take its place. If you have enough leaves in store, you may be able to feed them into your compost all year round. If you are lucky you will have enough to take you up to the next Autumn/fall. You don’t need to shred leaves to be able to make compost. Mixing them in with kitchen waste as you feed your compost bin will work well. However, if you have a shredder on site then I would be tempted to use it to shred leaves. Small particles of anything organic will always rot down faster than anything large. Another advantage with shredding leaves is that dry leaves when shredded often convert to dust. A dry dust will absorb any excess moisture that often turns up when collecting kitchen waste. You don’t need to use any special type of shredder for shredding leaves. You may need to pay attention to the blades in the shredder. Dry leaves will usually shatter into bits but, being dry, they may blunt the blades, so, be ready to sharpen them. You can spend a lot of money on a vehicle that will gather leaves and when you’ve finished it will be parked up until next year. There are blowers which are either engine or electrically powered. These can be fun to use and are effective. If you have a lot of leaves falling each year then using a blower is probably the best way to go. Blowing is easier than using a rake. You will find that you need to cover every inch of ground when you use a rake and they only work best when raking leaves on a lawn area. In a yard it will be just as much work when using a broom. Depending on how much area you have to clear, if there is a lot to do, you may be able to justify getting a blower. The one thing that you will have to look out for when gathering leaves is the wind. Whatever system you use to gather leaves, it can all go horribly, and embarrassingly, wrong if you’ve got a nice big tidy heap of leaves and a strong gust of wind comes along. They may end up scattered around and you’re back to where you started or they may end up being relocated to another district, in which case you may end up with someone else’s leaves from another district. The main thing will be, if you’ve got together a good sized heap of leaves and they all blow away, that you will be hoping that no one else has noticed. 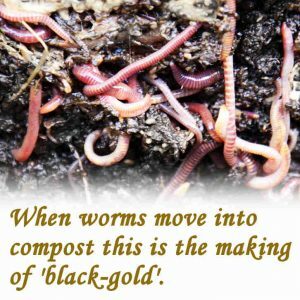 Next Post: Do worms help compost?